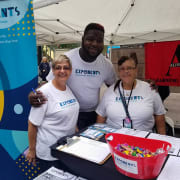 The social media volunteer will be responsible for helping us to manage social media websites to spread the awareness of HIV/AIDS and substance use and promote the EXPONENTS brand in the local and online community. The volunteer will work closely with us in marketing new initiatives and events on social media networks. Commitment is 10-15 hours a week. We will work with your schedule.